Miami Burn Injury Lawyer: Burn accidents are often categorized as catastrophic due to their effects on the individuals, and the pain you go through in the process may not be that palatable. Depending on the severity of the burn injuries you suffered, your quality of life of life may be affected in some ways. Do you try to get the compensation for the burn injury; this may be a tough task because you will need a professional to help you with the case. If the burn injuries are due to someone negligence, the experienced Miami burns injury lawyer can help you get the compensation you deserve. We have been working relentlessly to help the victims that are involved in burn injury get their compensation. Most people think burn injuries can mainly come from the heat source. This may be catastrophic, but many burn injuries result from other sources apart from the heat source. Chemical, electricity, and water can all cause a serious burn injury. And if another party is responsible for any of these accidents, you may be entitled to compensation to cover various medical bills, lost wages and the various pain rooms the burn injuries sustained. The compensation you are eligible to is dependent on the degree of injury, heat source, and other factors. Burn injuries attract a high medical bill and debt. Unlike any accident that may get healed on time, burn injuries take a longer time to recover. And if the injuries are so severe, you will need to do grafting from the other skin of your body that is not burnt. And even after all of this medical treatment, you will still be left with disfigurement for the rest of your life. It not only about the high bills that the accident attracts but the emotional trauma you will go through. There are other expenses you may lose when you have a burn injury. Apart from the medical debt, you will also lose sometimes in work if you are working. This means you will be able to pay your hospital bill and be left with a lot of debt. Dealing with the psychological problem from a burn injury can be difficult. Our lawyers can help you compensate for that also. And they can be as result of the reality of living with a burn disability for the rest of their life. Financial compensation will also help your family also during this time o burn injury. You can trust your Miami burn injury lawyer to critically analyze the details of the accident to pursue the right compensation for you. Recovering from the burn injury should be your ultimate goal now, and the Miami Burn Injury Lawyer can help you to handle all the difficult aspect of the case you won’t be able to handle on your own. Because dealing with a serious injury like this can be an uphill task, because of the various professional you will need to talk to in the process, from the lawyer from the other side and the insurance company, which won’t want your best interest at heart. This makes it even more important to have a professional to help you. 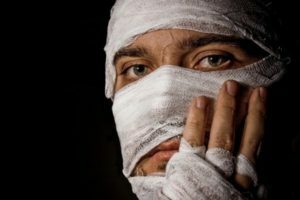 Are your loved ones involved in a burn injury, you should pursue the compensation you are entitled to through the experienced Miami Burn Injury. We stand in the gap for the injured victim to get their compensation, contact us today for a free consultation on your case.